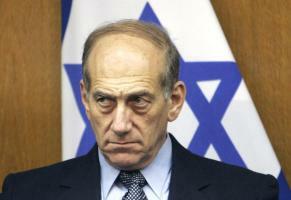 See the gallery for quotes by Ehud Olmert. You can to use those 7 images of quotes as a desktop wallpapers. When you fight for the impossible, sometimes you lose everything. I am focused on what needs to be done for the people of Israel. Period. I do not pity myself and I do not pat myself on the shoulder. I get up in the morning full of energy to fulfill my mission. I never thought that Syria and Israel should engage in a violent confrontation because I don't think that there is any particular interest for any of us to do it. 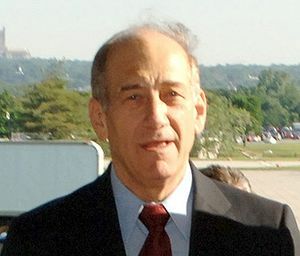 Israel will not tolerate a situation in which Iran has effective control of non-conventional weapons that can be used directly against the state of Israel. The Palestinians are facing a historic junction at which they will have to decide whether they want to remain stuck in a corner of extreme fundamentalism, which will cut them off from the entire world, or whether they are ready to take the necessary steps. My role is to assist in building this process. There were certain people who were out to get me. I know who those people were. They exist, believe me. They know that I know. They spent millions of dollars in order to try to get rid of me. I'm happy they lost most of their money. Who thinks seriously that if we sit on another hilltop, on another hundred meters, that this is what will make the difference for the state of Israel's basic security? I'm not in power, but my ideas are in power. 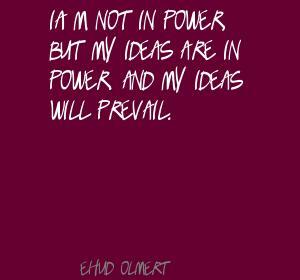 And my ideas will prevail. I have to think about the possible ramifications of an early retirement. I know the war in Iraq is controversial in the States, but for us in the Middle East it has made a great and significant impact. 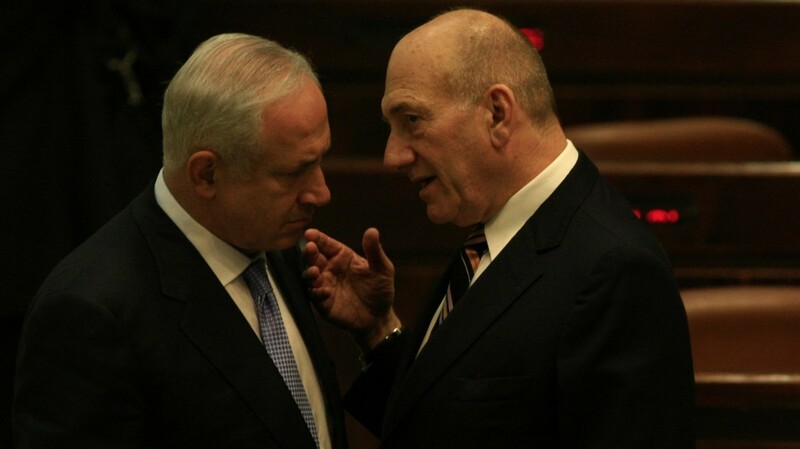 Much more quotes by Ehud Olmert below the page. 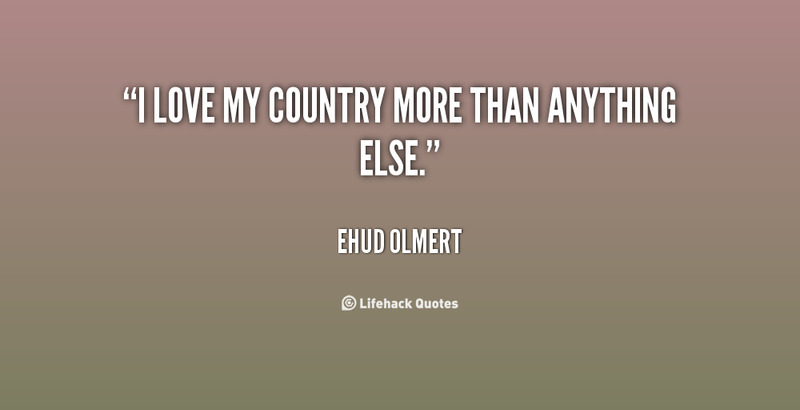 I love my country more than anything else. I think the attempt to draw a comparison between Iran and Syria is false, misleading and dangerous. I want to arrive at the possibility of peace with the Syrians, and when I believe that the conditions are right, I will not miss the opportunity. I was not born to be prime minister, and I'm not going to stay here until the end of my life. I'm too young for that. Iran is a major threat to the well-being of Europe and America just as much as it is for the state of Israel. Iran is an anti-Semitic, terrorist government. Israel always has to be in a position to defend itself against any adversary and against any threat of any kind. Look, miracles in the Middle East are a reality. My doctors say I am very healthy. Peace is important for Israel.